Author: Bhagat, Chetan Set In . . .
Love marriages around the world are simple. Boy loves girl. Girl loves boy. They get married. In India, there are a few more steps. Boy loves girl. Girl loves boy. Girl’s family has to love boy. Boy’s family has to love girl. Girl’s family has to love boy’s family. Boy’s family has to love girl’s family. Girl and boy still love each other. They get married. 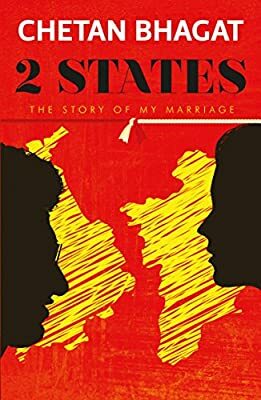 Welcome to 2 States, the story of Krish and Ananya, who are from two different states of India, deeply in love with each other, and who want to get married. Of course, their parents don’t agree. To convert their love story into a love marriage, the couple have a tough battle ahead of them—for it is easy to fight and rebel, but harder by far to convince. Will they make it? From the bestselling author Chetan Bhagat comes another witty tale about inter-community marriages in modern India.